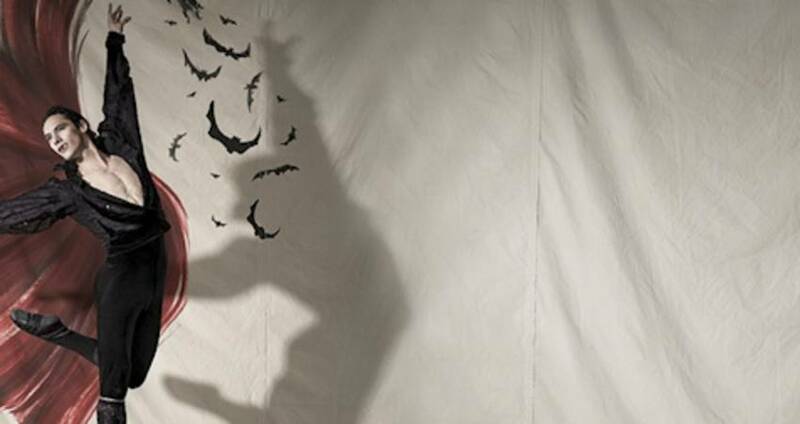 Just in time for Halloween, 31 Days of Art is pleased to impart a haunting spin on a classic theatrical tale. Lynne Taylor-Corbett&apos;s Dracula (from the Bram Stoker classic) and Robert Weiss&apos;s The Masque of the Red Death (from the short story by Edgar Allen Poe) are returning in a seductively beautiful (and fabulous!) production from the Carolina Ballet. Both are set to original, commissioned scores by J. Mark Scearce, played live by an intimate chamber ensemble. 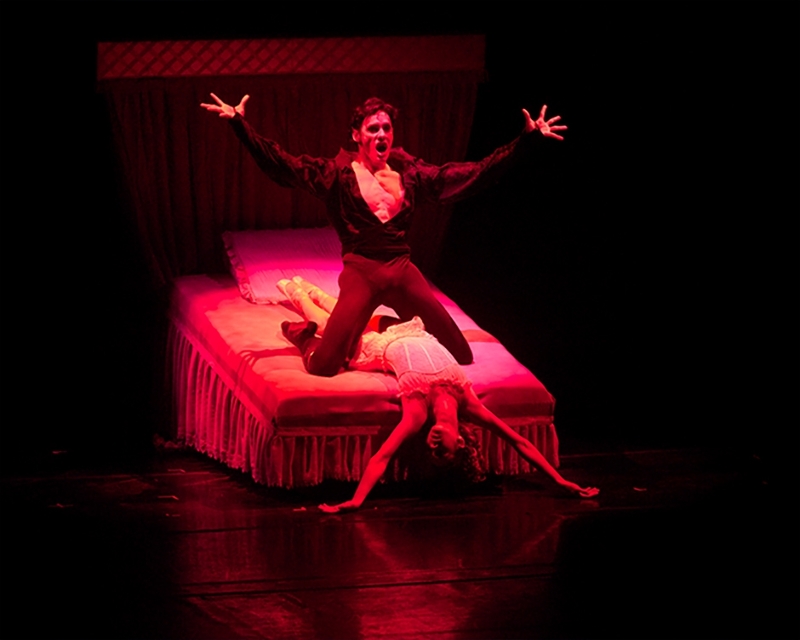 Dubbed as a classic horror dripping with passion, this program originally debuted in 2010 with a News & Observer newspaper critic saying, "the new works based on the classics of the macabre emphasize the visual and the dramatic ... enhanced by cutting-edge technology and original scores, both pieces are geared to audiences beyond core dance fans." “Stoker based his tale on the legend that arose in the mountains of Transylvania where there lived an ancient race that was repeatedly crushed by the Turks. The Transylvanians found a way to become more powerful by drinking the blood of other living things. The ultimate product was Count Dracula, who became stronger with each passing century. However, even Dracula could not invade a life unless he was &apos;invited&apos; into it by the need of his victim. Stoker used this device to comment on the sexual repression of the Victorian Age. The Carolina Ballet company is a premier arts organization, launched in 1997 under Weiss’s direction. It has since garnered critical praise from the national and international media, staged 80 world premiere ballets and toured internationally in China and Hungary. Weiss is the former artistic director of the Pennsylvania Ballet and principal dancer at New York City Ballet under the legendary George Balanchine. He programs traditional ballets by legendary masters and new works by contemporary choreographers. Presented as part of The Carolina Ballet&apos;s 2014-15 season at the A.J. Fletcher Opera Theater at Duke Energy Center for the Performing Arts. Recurring Thurs.-Fri., Oct. 9-10, and Sat.-Sun., Oct. 11-26; $25-$68. Click for more details. Sink your teeth into the 31 Days of Art calendar to plan an Oct. trip to Greater Raleigh and learn more about #31DaysofArt.